It’s one thing to learn a subject. It’s something else to know it well enough to pass it on to someone else. Pastor Jack will continue this lesson on the need for Christians to be mature and move on to the solid food of the Word of God. 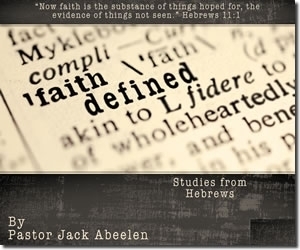 We’re picking up the study in Hebrews chapter 6:1-8 and we’ll join our teacher for the conclusion of this message.